Sure, there may be some exceptions (in theory), but on the whole, the most important feature of any type of furniture for a mobile home is that it should be as compact as possible. It really does not matter if your home has one bedroom or several, you should still prefer compact solutions. The first point logically leads to the second one. If you want to optimize your available space, you will have to consider furniture for a mobile home that features hidden storage. A lot of contemporary beds, for example, are now designed with drawers, or an additional storage compartment, hidden under the mattress. Coffee tables, puffs, and ottomans can have some hidden compartments, too. Those are just some of the most basic examples; in reality, they merely scratch the surface. If your mobile home will actually be in a mobile state from time to time, there is a chance that some of the furniture pieces or accessories might get damaged on the road. So, your goal is to look for durable materials. Usually, natural materials are more durable than man-made ones. Avoid sharp angles and make sure that all of your furniture items are properly fixed. This will help you to avoid potential damage and unfortunate incidents on the road. This is one of the essential tips while working on any interior. Yet, it becomes particularly important when it comes to looking for furniture for a mobile home. On a space as limited as that, most of your rooms and furniture arrangements will be clearly visible – in some circumstances, right from the start. So, once you choose a certain decoration pattern, you should stick to it – no matter what. If wood is your dominant material, do not include too many furniture items featuring different material type. If MDF dominates in your mobile home, make sure most of the furniture items are designed in MDF, etc. Apart from the features, described above, furniture for a mobile home can be identical (or at least – next to identical) to furniture for an ordinary home. Yet, you should not forget one equally important thing – it is never advisable to compromise on quality, even if your budget is limited and you are looking for the most affordable furniture for a mobile home. 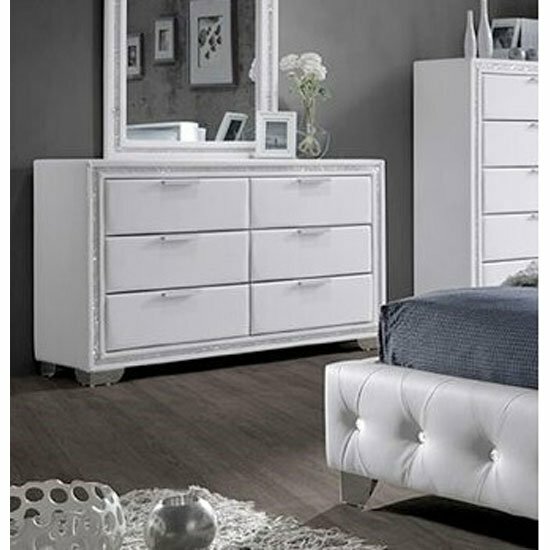 A nice store that can offer you a combination of high quality and moderate price is Furniture in Fashion . The platform can be particularly beneficial for the UK residents, because it is a local company that offers urgent deliveries to any corner of the country.